A new addition to our Season Four lineup, from Helen Hayes award-winning director and playwright, Psalmayene 24. 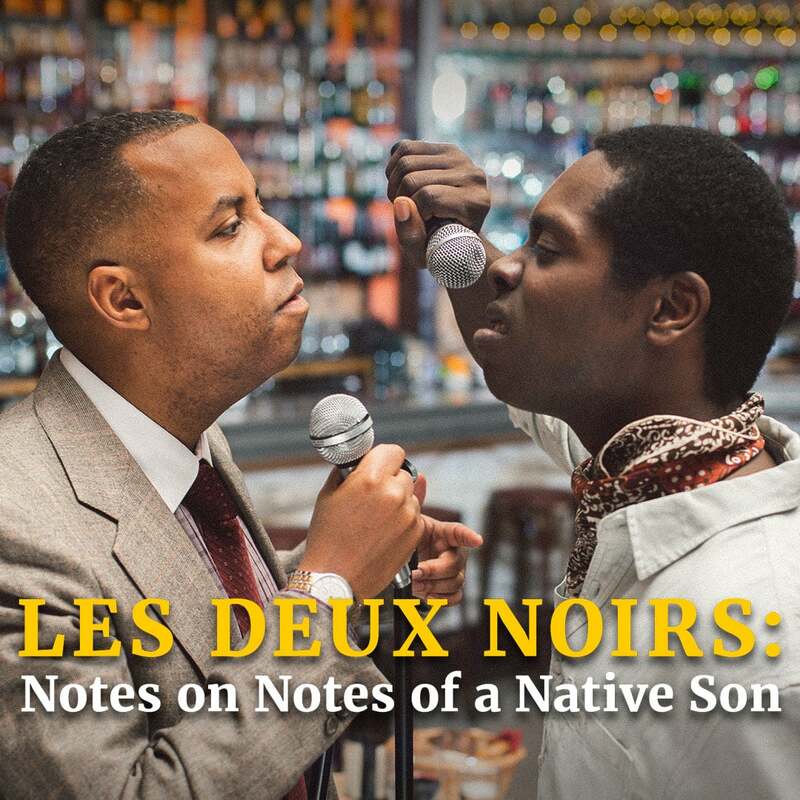 Set in the legendary Parisian café Les Deux Magots in 1953, Les Deux Noirs: Notes on Notes of A Native Son re-imagines the meeting between Native Son author Richard Wright and essayist/activist James Baldwin. It explores the tension between Baldwin’s searing critiques of Native Son and Wright’s unbridled indignation in response—a confrontation between two mighty African-American artists, with echoes of a present-day rap battle. ALL performances with have surtitles (open captions) projected on to the set. Independent, intercultural, entertaining, and uncensored, Mosaic Theater Company is committed to making transformational, socially-relevant art, to producing plays by authors on the front lines of conflict zones, and to building a fusion community to address some of the most pressing issues of our times. Dedicated to making our theater a model of diversity and inclusion at every strata, on stage and off, Mosaic invests in the new as we keep abreast of our changing and challenging times to ensure that our theater is a responsive gathering space, all the while nurturing and producing art of the highest order. We complement our productions with comprehensive engagement through free pre- and post-show programming, an annual intercultural festival, like our “Voices From a Changing Middle East” series, and educational initiatives, including our touring “Mosaic on the Move.” We strive to foster a culture of listening and welcoming, embracing complexity and a multi-focal perspective. Our plays speak truth to power and to the private parts of our soul. In short, we make art with a purpose and strive for impact.